Face big waves of asteroids. Collect power-ups to increase your fire power and aim. Defend the mothership at all costs from the inifinte waves of asteroids in this pure arcade space shooter. 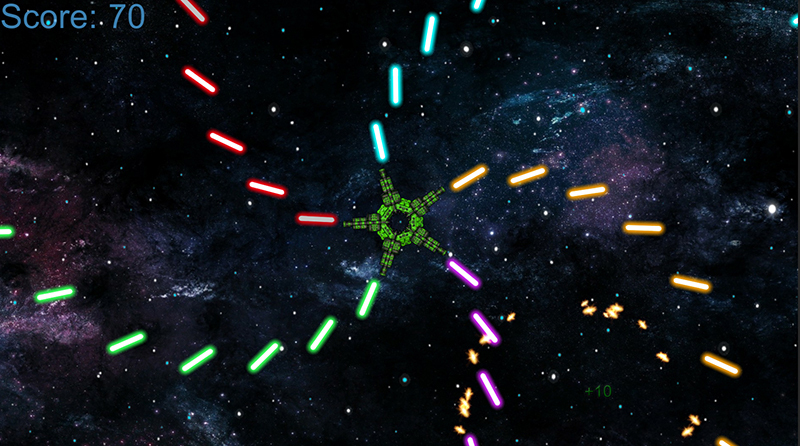 3 different types of asteroids 3 different power ups and tons of fun is awaiting! - Easy to play, hard to master How to play: - Simply at the direction of the asteroids when either one of the turrets is facing it.